You may be aware of programmatic online advertising. For those less familiar, this is the automated buying and selling of internet advertising via the use of sophisticated software utilized by online ad platforms. Marketers looking for the right locations for their ads at the right price are automatically matched by software to those with web real estate for sale. But it’s less likely that you’ve heard of direct mail generated by actions taken online. 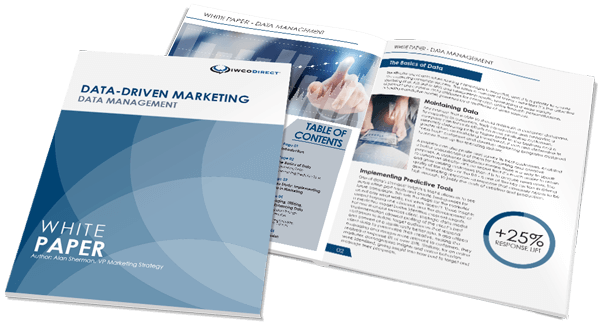 This is a process where prospect or customer online behavior leads to real-time, action-triggered direct mail. Those visiting a website, clicking on relevant emails, or taking action on a social media site (such as likes, comments, shares, etc.) receive targeted direct mail within days of their visit. By taking these actions, prospects indicate interest, and by following up with them via mail to leverage that interest, the chances of customer response are substantially increased. More than 95% of visitors to a given website leave without purchasing something. Traditional email retargeting can be effective when either the visitor’s identity is known via the login/purchase process or via tracking IDs embedded in promotional emails that capture clicks to websites. As an alternative, ad retargeting drops cookie IDs on visitors’ computers when they visit certain pages, resulting in the ads we subsequently see wherever we go online. Email retargeting is limited by the very nature of email—a 30% open rate is considered an excellent achievement—meaning that the vast majority of those targeted don’t even open the email and read its content. Ad retargeting, while increasingly sophisticated, still achieves small click-through rates. Digitally-driven direct mail aimed at website visitors, also known as pixel targeted direct mail, works differently. When we work with clients, we provide a snippet of code they can to add to their website. It enables the capture of either advertising-linked or IP-address based identifiable information. The data is then validated against existing consumer databases, and additional demographic analysis or segmentation may be applied where required. Customer online behavior can be captured and transferred instantly to IWCO Direct, who then drops a targeted direct mail piece into the mail within 24 hours. Unlike email, with its somewhat limited open rate, direct mail has a 90%+ open rate. Another example of direct mail and digital integration can be utilized via what we call email “listening” triggers. Email listening is based on URL wording within email links inside promotional emails. Most links include cue words relevant to the product or service being sold. Email recipients that click on these cue words are captured across the web and identified as warm leads or potential buyers. These clicks are captured in the form of single-session cookies, which are used by email service providers for tracking purposes. They are then matched to permission-based email lists and can be targeted via real-time, triggered acquisition email, or direct mail. Another use of integrated digital marketing and the direct mail channel we utilize is what we term social linkage. Social platforms are traditionally set up to only support advertising in-platform. To date, the ability to reach key customers and prospects by leveraging their behavior and social engagements has been limited. But we have developed a process to receive a data feed for those that take certain actions—such as like, follow, share, etc.—and link those records to valid, permissioned email addresses. By further reverse matching, full postal contact records may also be applied to up to 40% of the list. There’s a reason that marketers continue to use direct mail: it’s an extremely viable channel. When done right it works—and it works very well. Now we can take advantage of relevant online behavior to reach prospects and customers through a channel with strong open rates when their interest level is high. For more information on how to apply digitally automated direct mail strategies to your campaigns, contact me here.